Well looks like Pirate Bay might be closed for good. They were served a search warrant by the Swedish National Criminal Police. Looks like they will have to fight it out in court. See ya Pirate Bay, it was nice knowing ya. Someone anonymously sent me a $600 gift card CompUSA. First of all thank you whoever you are. The funny part is that I can’t figure out what to do with it. I figured I should get a GPS like I posted about last week. So, I did. I bought the TomTom 510. As of today, it no longer will boot up. I have it plugged in and yet it simply won’t turn on. That is going back. After having the GPS, I realized that I don’t travel outside of the Tampa Bay area that often when I am driving. A GPS isn’t a necessary item for me to buy. How about an Xbox 360? I could get the big system with games and the works…but I don’t like video games. The only games I do enjoy are the classic Mario games, and I’m getting the new DS Lite on the 11th of June. Xbox 360 crossed off the list. Okay how about an iPod, got one. I was thinking about the Creative Zen Vision, but alas CompUSA doesn’t sell it. I would like to try the subscription based services like URGE or Napster, but not from CompUSA…sigh. So what do I buy? I am returning the TomTom today and will have the full $600 back to spend. A few ideas I am tossing around are an iPod HiFi, but I already have the Fury 2.1 from Sound Druid, the Harmon Kardon Drive + Play for the iPod, new car speakers, or who knows what else…. Anyone have any ideas? What would you buy? Cnet has launched a new service, All You Can Upload, where you can upload as many pictures as you want. Registration isn’t even necessary. Simply upload and that’s it. No bandwidth limit. No size limit. FREE! You can register so you have a way to track all of your uploads. One of the coolest parts is that it automatically writes the code to insert the picture for MySpace, eBay, Xanga, Blogger, a forum or message board, email, or instant messenger. Look out Flickr. P.S. The logo from this blog post is a image I uploaded with their service. Well the party is about to be over, AllofMP3 has been declared illegal by the International Federation of the Phonographic Industry (IFPI), and prosecutions are reported to be underway. They been accused of not paying royalties to artists. Looks like it is time to cash out, and buy as many songs your balance has. I know I certainly am. Looks like iTunes’ cheapest competition is about to go buh bye 😦 . 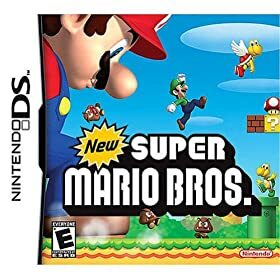 The New Super Mario Bros. managed to sell through 480,000 units in it’s first day in Japan, making it the fastest selling DS title ever. I recently this weekend purchased this game. I have to say, it is a very cool upgrade to the Mario series. 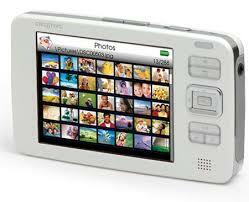 I can’t wait for the DS Lite to come out in June. I can’t wait…as the time draws closer, I am getting more and more excited over this phone and a few weeks ago I wasn’t even wanting to buy one. PLEASE T-mobile include GTalk in this Sidekick, and it will be the ultimate phone. Check out the pic in high rez here.